ReplayFX is an arcade and gaming festival held in Pittsburgh each year. The convention center is filled wall to wall with arcade cabinets, pinball, consoles, and more. There’s also tournaments, seminars, and live music. This year’s stand out for me was their section of indie games. Local developers showed off their upcoming projects. 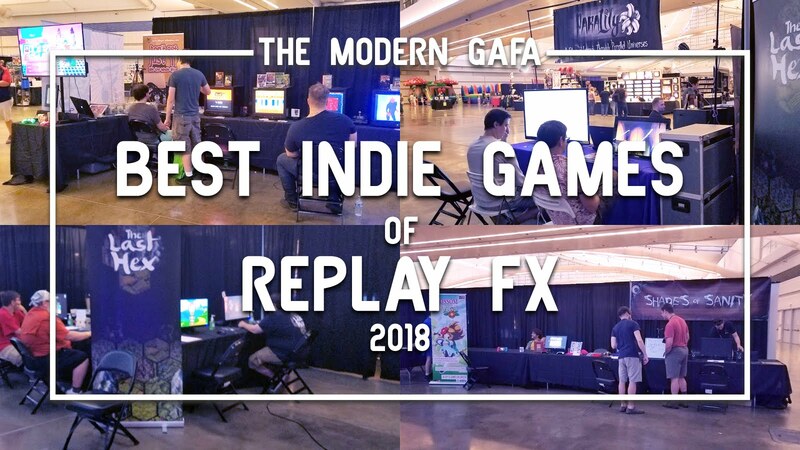 Read on to find out about some of the best indie games I tried out at this year’s Replay FX. While I usually browse ReplayFX alone and occasionally meet up with friends, this year I took Zach, my little brother-in-law, with me one day and he absolutely adored the indie games. I thought he’d get bored after an hour and want to play Minecraft and Fortnite and then go home after lunch. But we were there for almost ten hours and he kept wanting to go back to the indie games! Check out some of our favorites. ParaLily is a side-scrolling puzzle/adventure game where you control a little girl with the ability to teleport between multiple dimensions. So if you come across a pit you can just warp to another dimension where there is a bridge over the same pit. It’s not the most creative game in the world - there are plenty of mobile games with similar concepts - but there is a bit of charm to it with some beautiful artwork and the fact that you play a little girl. Click here to check out ParaLily's official website. IO Interloper is the kind of game I’ve thought about wanting to play a few times, but never really saw anything exactly like what I was looking for. You play a hacker and the demo has a simple instruction of stealing a CEO’s briefcase. The entire game takes place in a desktop - at first, I thought the dev just left his laptop open like that. The game gives you a variety of tools that can help you get a map of the office and access to everyone's computers and eventually control some drones. My favorite part is how there is a Notepad app open that you have to manually use to keep notes instead of things like phone numbers automatically being added to your inventory or whatever. It’s a really unique concept and while it’s not the most visually exciting game it doesn’t actually give you much instruction so you always feel a real sense of accomplishment when you try something out and it actually works. Click here to check out IO Interloper's official website. 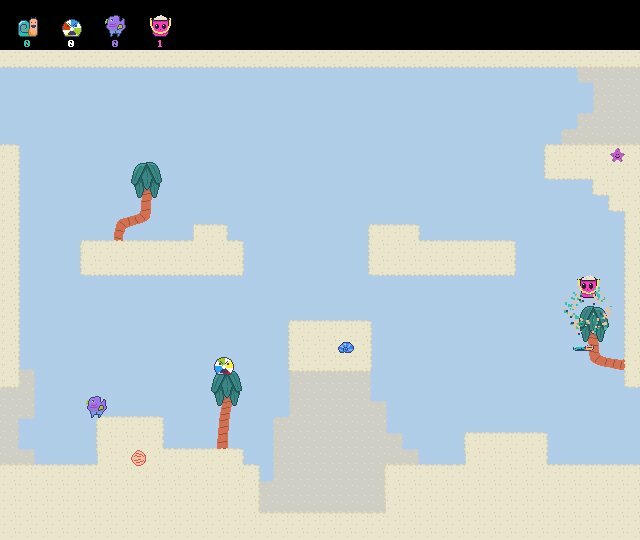 Beach Stompers was a game made in 48 hours for a contest - it won 1st place. It’s an arena party fighting game for 2 to 4 players where the only controls are move and jump. Run, dodge, and hide from the only way to die in this game: getting squashed. First to get 10 kills wins. This one was crazy fun as I started to figure out strategies to get multiple kills in a row. The cute, cartoony graphics add to the insanity and the short amount of time it takes to get 10 kills and start a new round make it the ultimate party game. Beach Stompers isn't officially released, so click here to bug the developer about that. Beans is a coffee shop simulator. I didn’t actually play it - Zach did. He loved it so much he sat there for like half an hour. It looked like a lot of old fun and kind of reminded me of the games that used to be on adult-swim.com or other old Flash games from the mid-2000s. The devs gave Zach a code to download it at home and then gave me a few too so I’ll have a full review and a giveaway soon! Click here to check out Beans on Steam! The Last Hex is a fantasy RPG card game. At first glance, it looks super complicated. After the tutorial, there is a quick screen that explains dozens of different factors. But once you get going you realize it’s actually super simple. Drag attack cards on the enemy and buffs on to yourself - that’s pretty much it! Managing energy and building the right deck are key and cards grow with you as you level up. There’s some good humor in the fantasy elements too. We had a lot of fun with this one. Click here to check out The Last Hex's official website. StarCrossed at first looked like an amped up version of pong when I walked by it. I saw some magical space ladies passing a star back and forth. Turns out that the star will bounce between the two players no matter where on the screen you move. The real goal is to slap the star back and forth and use it to slice up alien enemies that stand in your way. Pull off sick moves to try and get the high score. A simple yet original concept with some nice visuals. I dig it. Click here to check out StarCrossed's official website. Log Jammers is a game inspired by Windjammers, a 1994 game for the Neo Geo that showed a hyper-realistic, anime-looking version of Olympic one-on-one discus. Log Jammers is an ultra-violent, ultra-cartoony take on Windjammers - but instead of a frisbee you’re passing around an AXEm and instead of a court you’re floating on a pool, and instead of shields you have cheerleaders who are, yes, chopped up by the AXE that you pass back and forth. I wasn’t sure what the game actually was as we were selecting characters and battlefields. It looked like a fighting game or a beat ‘em up. Sometimes it’s good to be wrong. Log Jammers is hilariously awesome. It’s like if Deadpool invented his own Olympic sport. We only played one round, but I was laughing the entire time. Click here to check out the official Log Jammers website. Bombfest is a party game for 2 to 4 players. Each player controls a wooden peg toy that can pick up small objects and flop and roll around on the floor. In most levels, the only objects to throw are bombs which knock players back until they fall off the arena. There are different kinds of bombs that all explode differently. When you die, you come back as a bomb and can roll around to try and take the surviving players out. After three rounds the player with the most points wins. Points are scored not just by most kills, so it’s anyone’s game until the end. Click here to check out the official Bombfest website. What are your favorite indie games? Let me know in the comments below!